Alright, it’s that time of the year again. When the weather is getting frightful, and not in the fun, Nat King Cole style: you have to layer up when you venture out. What better way than to kill two birds with one stone by getting your friend a gift you know they’ll need or want? Now, we know it’s around the time for holiday shopping to get a little…crazy. 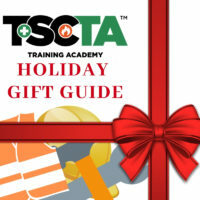 But we at TSC Training Academy have a few recommendations for you to kickstart your gift list. For the Worker that ‘doesn’t need a coat’ (you know who they are), we’d recommend the Carhartt Men’s Crowley Jacket. Technically it’s not a coat and can almost pass as a hoodie if your gift receiver doesn’t think about it too hard. It’s also water repellent and wind resistant for one of ‘those’ days, and with the 4-way stretch, it’s the ultimate gift for the person that thinks layers are too constrictive. Also, it’s the biggest hint to put on a darn jacket. It’s below 50 degrees on a regular basis: they must be either cold or a frost giant. For the worker that wants to see what he’s doing and protect his eyes from the weather, we’d suggest the DEWALT Concealer Safety Goggles. These spectacles have anti-fog and tough coat lenses to keep him going when no one else wants to. Because…well, it’s cold. Unless there’s coffee involved, we’re out. Unless you have ice powers, chances are, you don’t like having cold hands. Bigger chances are, your friends aren’t going to like cold hands either. That’s why we recommend the DEWALT: DPG740 Cold Weather Work Glove. With wind and water resistance, these are good for the chilly days and a chilly coworker that has hands-on work and doesn’t have anything on those hands. If you want to stick with the DEWALT Brand, you can go full-on heated apparel with the DEWALT DCHJ070 Heated High Visibility Class 3 3-in-1 Hooded Jacket. This doesn’t just keep you layered: it has built-in heating zones in the chest and mid back that can last up to 7 hours of run time. Long enough for a few coffee breaks, right? If they’re doing significant footwork, then it’s better to give them a worker’s staple: a pair of Kings by Honeywell. The Kings boot includes a steel cap, leather materials, and traction to keep them sturdy on their feet when the floor is a bit slippery. So you gotta get Ralph a gift. But you know squat about him. He’s not a friend and just barely acquainted with you, but you don’t want to be the one to give a gift card this year and have to make $10 minimum. A good, old-fashioned ugly sweater is a perfect choice. As long as you know his size, he can’t complain, right? Still keeps him warm, he’ll likely wear it at the party (because when else is he going to? ), and 10/10 this is an insulating layer for him throughout the whole winter. Despite the health effects of long-term exposure to the cold, apparel including gloves, sweaters, and other insulator-based clothing aren’t covered under the OSHA standards of PPE. 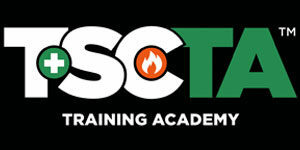 Under the term ‘harmful temperature extremes’, that only covers exposure related to intense heat and temperature exposure as a result of the job. Not environmental exposure as a result of your environment. Stay warm this holiday season, and many yuletides cheer to you and yours.